In 2012, Russia invested $2.2 billion in the ASEAN countries and received some $1.4 billion in return investment. There is immense potential for two-way trade and investment, according to experts. A Russia-ASEAN business forum, bringing together some 500 business players, will be held on 22 June on the sidelines of the 17th St Petersburg International Economic Forum. The executive director of the Russia-ASEAN Business Council, Viktor Tarusin, explains that the purpose of the forum is not just to attract investment into Russia but also to make Russian companies aware of money-making opportunities that exist in ASEAN countries. Which is quite a realistic objective given that during the 2008 global economic crisis the ASEAN economic system was in a far better shape than its European or Russian counterparts. The evidence is for everyone to see: capital construction projects in Singapore, Kuala Lumpur and Jakarta were not mothballed or as much as slowed down during the crisis. The St Petersburg International Economic Forum (SPIEF) is an annual Russian economic event that has been held in St Petersburg since 1997, and attended by the Russian president since 2005. Each year it attracts over 4,000 participants from more than 60 countries of the world. Its target audience are heads of major companies, officials, economists. In 2013, SPIEF will be held on 20-22 June. Overall, Russian and ASEAN businessmen are no strangers to each other: co-operation between the two sides began in 1996 and has been rapidly growing since. According to the Russian Foreign Ministry, in 2000 trade between the two sides was $1 billion, while 10 years on, in 2011, it was already $15 billion. There are examples of successful projects between Russia and ASEAN countries: Russian mining companies have begun to make serious investment in the development of mineral and ore deposits in Vietnam, Indonesia and other countries of the region. The White Tiger oilfield on Vietnam's continental shelf, some 200 km from Ho Chi Minh, has been operating for quite some time, since 1986. "This co-operation saw its logical continuation in the launch in 2009 of a joint Russian-Vietnamese enterprise, Rusvietpetro, 51 per cent in which belong to Russia's Zarubezhneft and 49 per cent, to Vietnam's Petrovietnam. This company is developing a cluster of oilfields in the Central Khoreyversky deposit in the Yamal-Nenets Autonomous Area," Tarusin said. 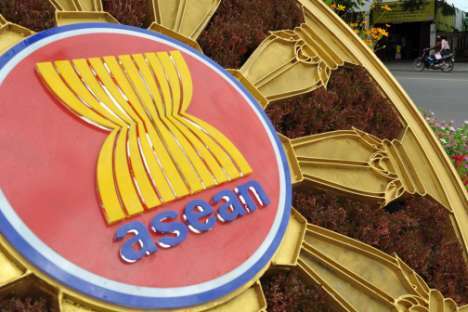 The Russia-ASEAN Business Council is working on an Internet TV channel of the same name that would provide a large audience with real-time reporting on the prospects of Russia's economic and cultural co-operation with ASEAN countries. In addition to mining projects, considerable headway has been made in infrastructure projects, with investors coming from both sides, Russia and ASEAN. "Co-operation with Indonesia on the SuperJet project is developing: this year 12 aircraft will operate on the country's domestic routes. Russian Railways is building a railway line and two coal terminals on the island of Kalimantan, divided between Indonesia, Malaysia and Brunei," Tarusin continued. Yet, despite a large number of Russia-Asian projects, there is still a room for expanding Russian-ASEAN co-operation further. Experts have calculated that the amount of Russian capital invested in ASEAN countries by far exceeds the amount of Asian capital coming into Russia. At the end of 2012, ASEAN countries accounted for 1.5 per cent of Russian foreign investment, amounting to about $2.2 billion a year. Whereas investors from Southeast Asia are far less active in Russia: their investment makes up just 0.1 per cent of total foreign investment into Russia (which in 2012, according to the Russian Federal Statistics Service, reached $140 billion). "These figures can be explained by the huge geographic, historical and cultural distance [between Russia and Southeast Asia]. Besides, ASEAN countries prefer to invest in the economy of their closest neighbours: China, Japan, and South Korea. Given the large growth potential of China's domestic demand, it is clear why Russia is not that popular among ASEAN countries," an analyst with the Finam investment holding company, Anton Soroko, said. According to him, the most promising area for investment that has an enormous capacity for growth both in Russia and in ASEAN countries is, of course, the consumer market: the economic restructuring in all these countries is in full swing, the infrastructure for development is in place but there is yet no strong competition.